Competitive Landscape: More educated consumers are demanding higher nutrition and more natural food products, along with increased convenience. Smaller companies, as well as private label (store brands), have been able to innovate much faster to meet these demands. Industry Response: Legacy competitors have sought to reposition products with innovations in health & wellness and packaging, while also looking to acquire smaller, faster-growing companies. Cost Management: Packaged good manufacturers are evaluating every step of the supply chain to identify waste with a goal of investing savings into growth initiatives. Marketing Innovation: There are innovations in packaged goods marketing including tying products to a social cause (e.g., environmental sustainability or public health). In addition, companies are shifting spending to digital channels with many now allocating more than half of their marketing budget to e-commerce. FAM Perspective: Trends aside, people want good tasting food. Our holdings in the space include a spice manufacturer that is innovating in sustainable production practices, supply chain transparency, and recyclable packaging. Another position is in a snack food provider that has deployed an asset-light approach to free up capital for innovation. 4Q18 earnings for both companies reflected the success of these innovation efforts, which should support attainment of our longer-term performance objectives for growth in market share and/or same-store sales. FAM recently attended KBW’s Winter Financial Services Conference. Here are some key trends from the meeting that reinforce our investment thesis within our small regional bank positions. Geographic Shift: The movement of people from high tax states to low tax states appears to be accelerating, benefiting places like Nashville, Dallas, Charlotte, and Florida, while making it harder to grow banks in other areas. Industry Consolidation: The merger of SunTrust and BB&T may benefit a number of our bank holdings as impacted bankers and customers migrate to other institutions. More broadly, “merger of equals” may become a trend as there are few smaller banks in attractive urban markets left to acquire on a “bolt-on” basis. Loan Growth & Quality: The outlook is for moderate loan growth in 2019. There are no systemic concerns around credit quality. Banks are being a little more careful given how long the upcycle has continued and shrinking exposure in certain areas such as hotel construction. Net Interest Margins: Pressure from competition for deposits is easing and margins should be roughly flat or only slightly lower relative to 2018. Stable margins plus high loan quality support our favorable outlook for banks. Culture is Key: Spending time with bank CEOs reinforces our view that leadership and culture are paramount because every bank has essentially the same opportunity set. As someone once said, “The stock market is the only store in America where, when everything goes on sale, people run out the door!” However, the FAM Funds team gets excited and runs into the store seeking to invest in high-quality companies at bargain prices. We do this with confidence because history demonstrates that stock markets tend to be fairly rational over the long term with prices typically correlating to the true economic value of the enterprises. Discover what stocks our fund managers purchased in 2018 as well as their thoughts for 2019. We are studying the economic and political concerns of the day. So far, our conclusion is that while these issues are quite real – we see many companies reporting slower growth and thinner profit margins – it remains unclear if they are severe enough to trigger a recession as some may fear. The economic and political backdrop in which we invest is always shifting. As a result, Fenimore tries to take advantage of opportunities when people sell due to fear and invest in enterprises that we estimate can do well, and grow, in a wide variety of scenarios. The FAM Equity-Income Fund received a 5-Star Overall Morningstar RatingTM, as of December 31, 2018, due to performance and risk-adjusted returns. The Fund focuses on mid-cap companies that pay dividends and seeks dividend growth, not simply high current dividends. Morningstar, an independent investment research firm, currently follows 382 mutual funds in its Mid-Cap Blend Category. 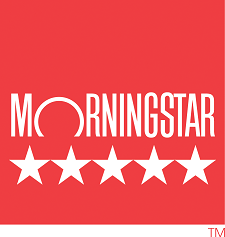 The Morningstar RatingTM is a quantitative assessment of a fund’s past performance — both return and risk — as measured from 1 to 5 stars. It uses focused comparison groups to better measure fund manager skill. As always, the Morningstar RatingTM is intended for use as the first step in the fund evaluation process. A high rating alone is not a sufficient basis for investment decisions. ©2019 Morningstar, Inc. All Rights Reserved. The information contained herein: (1) is proprietary to Morningstar; (2) may not be copied or distributed; and (3) is not warranted to be accurate, complete or timely. Neither Morningstar nor its content providers are responsible for any damages or losses arising from any use of this information. Past performance is no guarantee of future results. This is the final in a series of posts about short-termism from FAM Value Fund Co-Manager Drew Wilson. 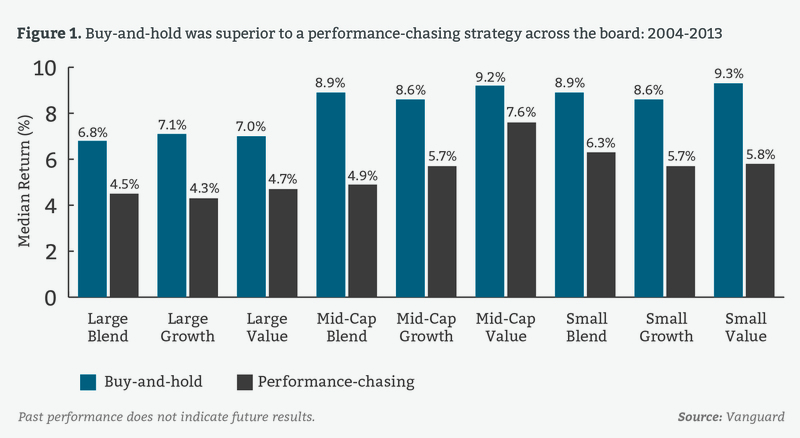 In a July 2014 Vanguard research study titled “Quantifying the Impact of Chasing Fund Performance,” the mutual fund firm found that performance-chasing strategies often diminish returns. The study used actively-managed, U.S. equity mutual funds available in Morningstar’s database that had been in existence for at least three of the 10 years ending 12/31/2013 (3,568 funds). With respect to this universe of funds, Vanguard took Morningstar’s nine style categories based on blend, growth, and value subsets of large-, mid-, and small-cap funds, and looked at hypothetical results for each based on buy-and-hold and performance-chasing approaches. The buy-and-hold strategy was simple: invest in any fund, sell only if the fund was discontinued, and replace a discontinued fund with one of the median-performing equity funds within the style box. We know the symptoms, but what’s the cure for short-termism? How should investors steel themselves against behavioral and external factors that may lead them to attempt to time the market or chase performance? As advisors well know, the key is to have a comprehensive, understandable, long-term investment plan that can serve as a foundation. It is hard to stay the course if you do not know the course. In my view, performance against that plan should be the primary yardstick – not what others’ returns are or whether all your money managers are number one across multiple time periods. When investors adopt long-term perspectives, the businesses in which they invest may very well do the same over time with their internal investments. I believe this prescription could be healthy for our economy and, by association, for investors’ long-term returns.